The iconic platformer by Jordan Mechner back in 1989 got a recent facelift thanks to its jump to smartphones. At Uptodown, we’re major fans of any and all Ketchapp games. That said, what we’re particularly fond of is the fact that they pump out new games with quick, easy gameplay, onto the Android ecosystem on the regular like it’s no big thing. 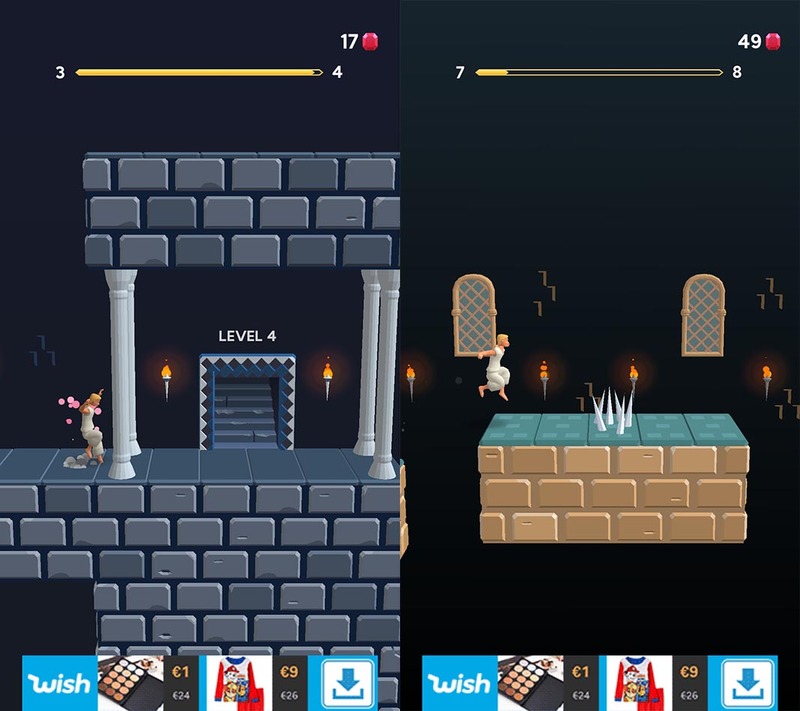 Ketchapp — a French studio — was bought out by Ubisoft back in 2016, and it’s not too long ago that we started to see their standard formula go through some tweaks. The Tower: Assassin’s Creed is one such example. And now its time for another well-aged classic to see some new light: Prince of Persia is back in a completely new format: a 3D endless runner that maintains the game’s original retro esthetics from 1989. In Prince of Persia Escape, as is common to other games within this saga, the name of the game is tapping — fast. 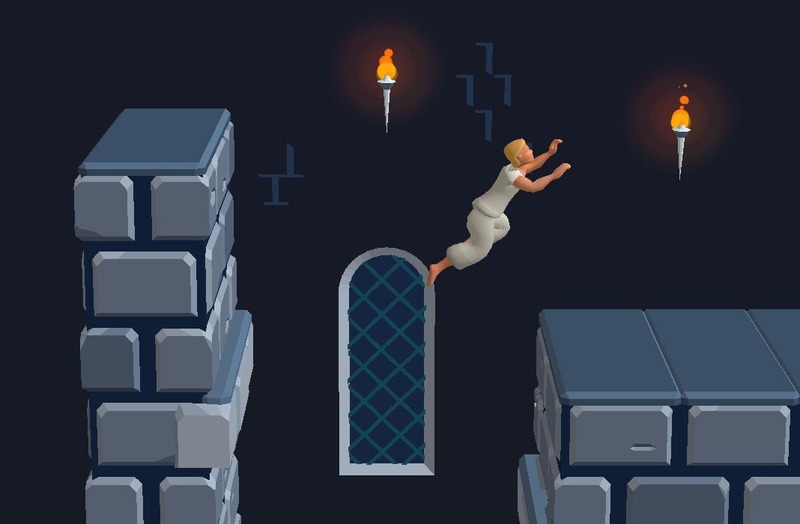 Your taps have your character jumping over obstacles as he runs non-stop automatically. Your objective is to make it all the way to the end of each level and avoiding all the obstacles that pop up along the way. Jump over traps and hold on tight to hang off of walls. On the way you’ll come across gems you can pick up in order to exchange them for upgrades to your characters threads. But, for the moment that features isn’t fully available for this version. Anyone already mildly familiar with the work of Jordan Mechner, will also have heard of the minimalist esthetic backing his work, as well as the use of gyroscopic animations. Thankfully, that visual richness has transferred over well from the original title to this 3D mobile incarnation. That said, there’s also a direct port of the original game, but this adaptation is exactly what you might expect when it comes to taking an original 80s game and turning it into an endless runner for Android. Simplicity, quick minute-long games, and a certain elusive sense of control over the level of frustration that ensues after just barely missing that last jump.